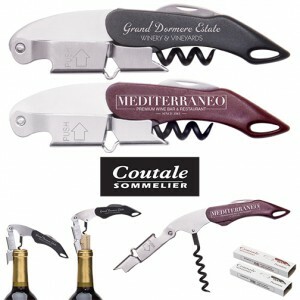 Looking for a quality wine opener to use for branding your business? These make great gifts or handouts at events, table favor or tradeshow giveaway. 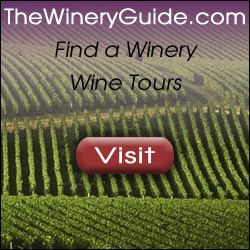 Also great for wine shops, wineries and more. Using the Coutale Sommelier Premium Wine Opener, the cork extraction can be done in two steps just by pulling up the corkscrew handle. With the patented spring loaded double lever adds ease and control to your uncorking experience. These stain steel frame with serrated knife and Teflon coated corkscrew have a 2″ x 3/8″ imprint area for your logo or information. Item is 5″ x 1 1/4″ x 5/8″. Min 60 pieces at 8.24 ea, 120 at 7.95 ea, 240 at 7.67 ea, 480+ at 7.54 ea. Set up is 31.25 per imprint color. Item number 836. Available in burgundy or black.